Situated in Inyo County about 30 miles east of Mt. 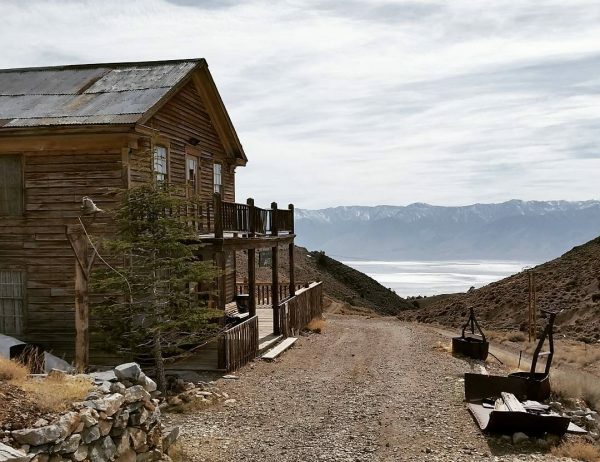 Whitney and just west of Death Valley National Park, Cerro Gordo contains nearly two dozen buildings, including a church, saloon, historic hotel called the Belshaw Bunkhouse, a hoist house and a superintendent’s house. Many artifacts from the area remain housed in a museum. 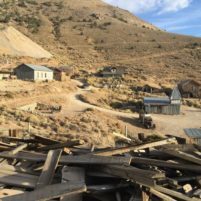 The ghost town had been privately owned by a single family for years, though kept open to the public for tours. The family wanted to sell to the property to a buyer who would preserve the town’s history. Initially, Cerro Gordo was listed for less than $1 million, but a bidding war broke out. After fielding a dozen offer, the seller chose a group of investors that did not bid the highest but presented an approvable plan for the town. The group of investors, led by Brent Underwood, who founded the youth hostel HK Austin, and Jon Bier, who runs a public relations firm that caters to athletes, hopse to add overnight accommodations to Cerro Gordo. They also hope to add events like writing retreats, concerts, photo shoots and theater. In 1865, silver was discovered in the hills of Cerro Gordo, causing prospectors to flock there. The town became known as the “silver thread” to Los Angeles. 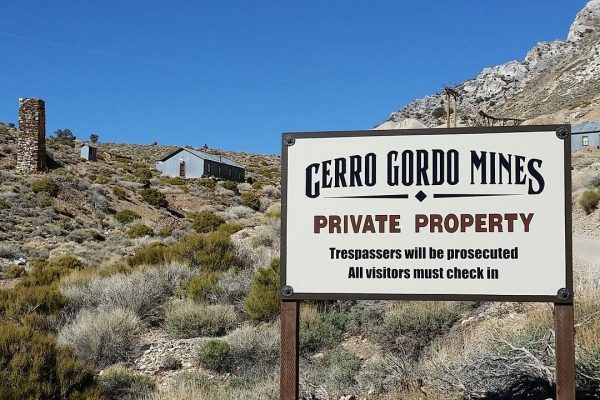 Cerro Gordo’s population reached about 5,000 at its height and quickly fell off when silver prices dropped in 1877. The current property contains land with mineral rights, in addition to open space and old buildings. Other investors on the team that purchased Cerro Gordo include Ryan Holiday, an author and former director of marketing for American Apparel; Tero Isokauppila, the CEO and founder of superfood company Four Sigmatic; Brendan Gahan, the CEO and founder of Epic Signal; George Rutolo, owner of The Whisky Bars; and Kelley Mooney, an executive at Hulu. Maybe they could offer “same day silver” teeth fillings. Looks like a perfect place to relocate our worthless elected and hired government persons.